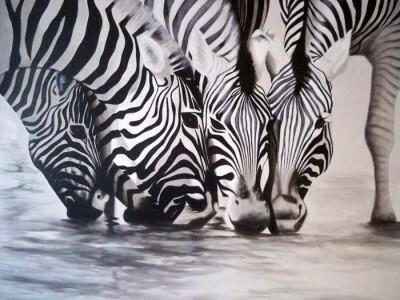 Drinking Zebras is a fine piece of artwork. It is 100% hand painted on canvas. 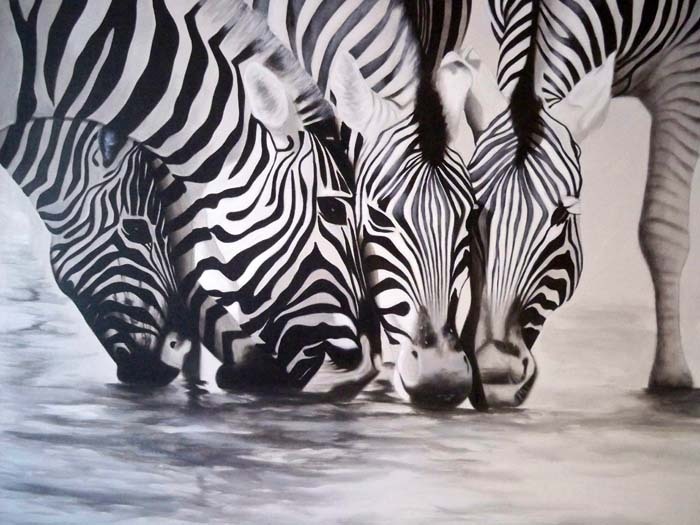 This beautiful painting is of zebras having a drink! A beautiful scene. Size 120cm x 100cm. 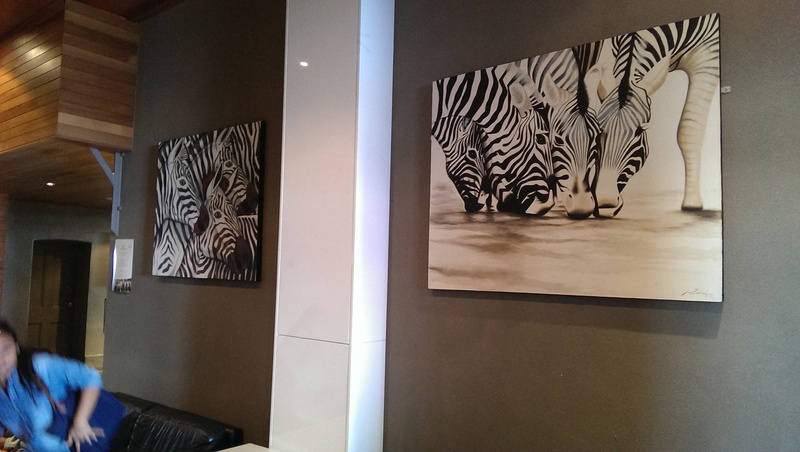 It is available stretched on a frame ready to hang, or as canvas only.